I am looking for the best way to move, not only my contacts, but my text messages, emails, and apps (with progress made in games) from the Galaxy S4 to the Note 3. I know there are a few different options with software to do this. Any suggestions on the best way to transfer everything? Decide to switch your Samsung Galaxy S4 to Galaxy Note 4 or Note 3? It's always easy to change a phone. When it comes to transferring data from S4 to Note 4/Note 3, you may feel a little frustrated. Although you have easy access to the SD card, you can only transfer music, photos and videos between the two phones. As for the contacts, you're able to sync the Google account with your Note 3 or Note 4 or insert the SIM card to Note 3 or Note 4. However, that's all you can do. 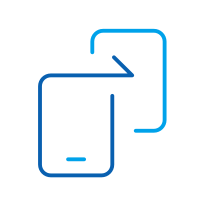 What if you want to transfer apps, call logs and text messages? All these data cannot be easily transferred. Looking for ways to copy data from Samsung S4 to Note 3 or Note 4? Stop here. 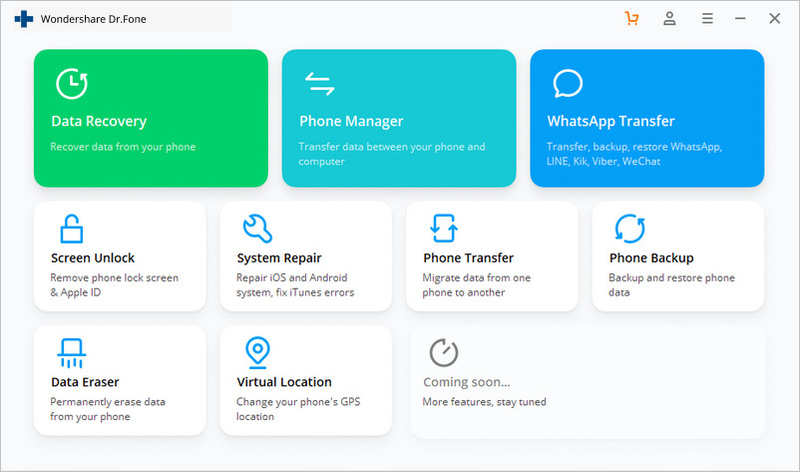 Here we are going to introduce a one-click phone transfer tool: dr.fone - Switch which you can draw support from. 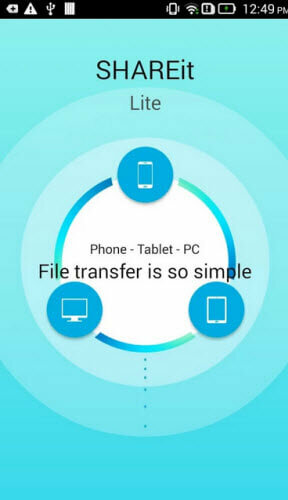 With this phone transfer tool, you're able to transfer all apps, text messages, videos, music, photos, call logs, calendars and contacts from Samsung S4 to Samsung Note 4 or Note 3 in 1 click. 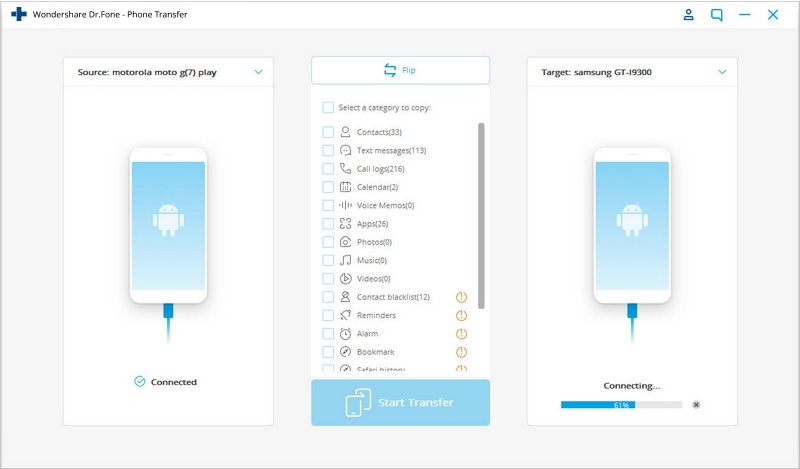 Transfer all video and music, and convert the incompatible ones from Samsung S4 to Note 4/Note 3. 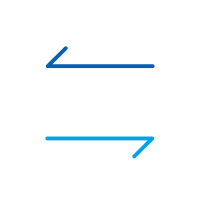 Support Samsung Galaxy S8/S7 Edge/S7/S6 Edge/S6/S5/S4/S3 and Samsung Galaxy Note 5/Note 4/Note 3, etc. To get started, finish the installation of the phone switch tool. Launch it and the primary window shows up. Then choose "Switch" there. Connect your Samsung Galaxy S4 and Note 3 with the computer via 2 USB cables. Then in the next pop-up, You will see both of your phones detected by the program. In the below window, select the contents type that you'd like transfer. By the way, you can click "Flip" to change the place of these two Samsung phones. As is illustrated in the primary window, all data including contacts, call logs, music, text messages, videos, photos, calendar and apps are ticked. When you don't want to copy some kind of data, you should remove the marks before it. Then, click "Start Transfer" to start the S4 to Note 3/Note 4 data transfer. Well done! You have successfully transfered data from S4 to Note 4/Note 3. Learn how to transfer photos from iPhone to Mac in this informative tutorial. We have provided 7 stepwise solutions on how to import photos from iPhone to Mac. 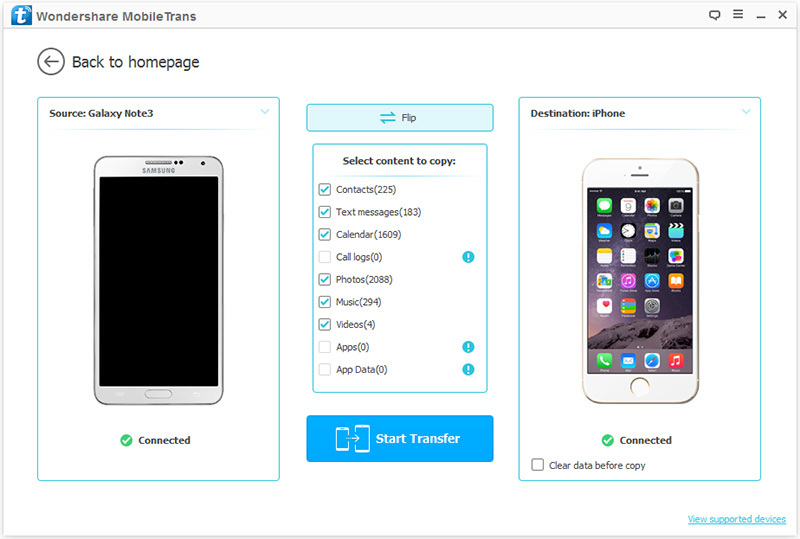 This article shows you top 20 iOS 9 data trasnfer tools to let you transfer data between your iOS and Android devices. Purchase some songs and want to transfer music from iPad to iPod for sharing? Here we offer you two ways to transfer music from iPad to iPod easily.